From an early age, boys are under a great deal of pressure to conform to the expectations of others on how to be and how to act. This usually means not showing a great deal of emotion. Yet, research has shown that baby boys are more emotionally reactive than baby girls. But by the time boys are five years old, they have usually learned to repress almost every emotion except anger. Much of this is due to fact that society values males who are aggressive, thick-skinned and emotionally self-controlled. But when boys do not conform to this "boy code" and instead show their sensitive side by being gentle, kind or empathetic, they are often ostracized and humiliated. This fact in turn also makes them more likely to be targeted by bullies. But what if parents started de-emphasizing the boy code and instead allowed their boys to be more authentic with their emotions? Would it impact bullying? The term "boy code" was popularized by clinical psychologist and author William Pollack. He described how boys are conditioned by society, by parents, and by countless others to deny their feelings and act tough. In general, the boy code is a set of behaviors and rules of conduct that society passes down to boys. Pollack's book, Real Boys: Rescuing Our Boys from the Myths of Boyhood, describes the boy code as a set of requirements for boys. It says that they should be independent, macho, athletic, powerful, dominant and fear anything feminine. If they don't display these characteristics, then they are wimpy. And it would seem that much of society buys into this message. From the time they are young, boys are told what is acceptable and what isn't acceptable for them to do, to say and to feel. For instance, they commonly hear phrases like "don't be a wimp," "don't cry," "act like a man," "don't be a mama's boy," and countless other phrases. Most importantly, they are told "don't be like a girl," or "that's a girl's toy," or "only girls wear pink." Not only does this conditioning force them to wall off their feelings, but it also indirectly communicates that anything girls do is bad or inferior and not something they should be doing. Many believe this where misogyny and sexual bullying take root. To make matters worse, Pollack says boys are forced into school environments that do not take their learning styles into consideration. In fact, many people do not realize that boys learn and behave differently than girls. For instance, when boys behave in ways that are considered disruptive or aggressive, people do not realize that this is a very natural way for boys to interact. Instead, boys are trained out of their natural tendencies and forced to adhere to the boy code. They are taught not to follow their intuition, not to feel emotions and do not develop their relational or social skills because to do so would make them too feminine. As a result, some activists are striving to change the way society views and treats boys. But others worry that the movement to empower boys and address their needs will negatively impact the movement to empower girls. Supporters of the movement argue that the opposite will occur. They believe empowerment for girls will not reach its full potential until boys are also supported and encouraged to reach their potential too. When boys are taught not to feel their emotions or are never instructed on how to act relationally, all that is left is anger and a sense of disconnect. Over time, a boy will slowly shut down his inner world and his emotions in favor of doing what is expected of him. And the results are disheartening. 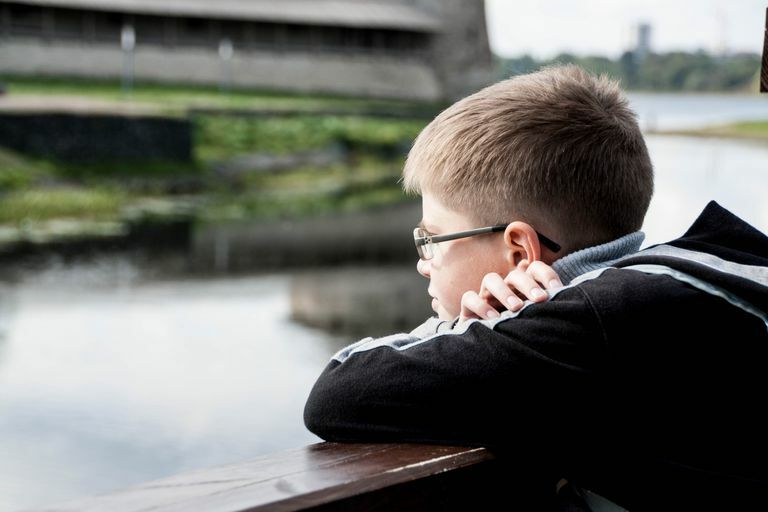 There are numerous studies that illustrate that boys often feel less self-assured, have lower aspirations and feel less emotionally connected to their families and their schools than girls do. Experts in boy behavior believe that all of this occurs because boys are forced to adhere to the boy code. This pressure to be constantly strong means that boys learn to wall-off their feelings and in the end, they lose the opportunity to develop emotional intelligence or empathy. What's more, boys are simply not allowed to express most emotions that girls express and it is frowned upon to be too close to their male friends. The fear is that they will be labeled weak, feminine or vulnerable. These restrictions on boys can create young men who not only struggle to express their emotions and lack close friendships but also struggle with homophobia. Moreover, to cope with the inability to express painful and embarrassing emotions, boys often turn to alcohol, sports, food, sexual compulsions and even aggression and dating violence. Because boys are expected to be in control and invulnerable, when they fail to meet this standard, they feel ashamed. Many times, this shame turns into resentfulness, anger and even hate. This is a toxic combination of feelings that can result in school violence and bullying. What's more, the pressure to be constantly strong teaches them to deny their feelings. In the end, they do not fully develop their emotional intelligence nor do they expand their empathy skills, which are key factors in bully prevention. When boys lack emotional intelligence or empathy, they are more inclined to bully others because they are not able to view a situation from another person's perspective. Also, boys tend to target others who are smaller, weaker or more vulnerable. And many believe because of the boy code that has been instilled in them, they feel justified in doing so. In fact, they often engage in victim-blaming, believing "if he didn't act like such a wuss he wouldn't get bullied." No one wants to raise a bully. But research seems to suggest that if parents adhere to the boy code, they may be doing just that. There is no denying that it not easy to raise a kind, thoughtful, well-rounded boy in today's world. Society has set some standards for boy behavior that are not conducive to the type of boy you may envision raising. Here are four tips on how to put the boy code to side and raise a self-aware and respectful boy. Validate your son's emotions, even the negative ones. Letting boys know that emotions are normal and not something to be feared goes a long way in improving self-awareness and emotional intelligence. Remind him that successful people are able to articulate feelings, show empathy for others, cooperate and solve problems amicably. Teach your son how to understand his emotions and deal with them in a healthy way. Show compassion for his tender side. Contrary to popular belief, allowing your son to embrace his sensitive side does not make him fragile. Instead, it leads to higher self-esteem and greater self-acceptance. Allow him to feel sad, and even cry, if he wants to. Never force him to deny his true feelings. By doing so, he will gain an inner strength rather than outward mask of strength. Accept that boys have a high activity level. Provide your son with a safe place to blow off some steam. While many parents embrace the physicality of boys, there are others who do not like it. If you are a parent with a low tolerance for boy energy, stretch yourself to find ways for him to be active. Remember, if your son does not have healthy ways to release his pent-up energy, he will find other ways for it to come out. It is always best to give your son healthy alternatives. Avoid making gender stereotypes. In other words, do not use the common phrases found in the boy code like "don't be such a baby," or "learn to take a joke." And do not make fun of your son for crying, expressing emotions or wanting to be with his mom. All of these things are an important part of a developing boy. He should never be ridiculed for being authentic.